In 2008, I had the opportunity to go to China--a trip I never really imagined possible. My father is the only one of my parents who had ever travelled abroad, a trip he took with his school when he was 18. And while I had been to Europe, I had not really imagined that I would be lucky enough to travel to Asia. Thus, when the opportunity presented itself, I snapped it up. In a whirlwind 10 days, I travelled to China with a colleague and set out on an adventure to some of the cultural hot spots of central and northern China. While there, I wandered among the food vendors in the night market with my colleague in Kaifeng, ate fermented vegetables for breakfast outside of Houjia village, sampled noodles in a noodle house in Xi'an, grabbed Chinese pastries in Zhengzhou before my colleague dragged me into the red light district (he was the more adventurous of us both), and ate lychees at the fanciest hotel I have ever stayed at in my entire life while in Beijing. In short, it was a culinary adventure as much as it was a cultural one. 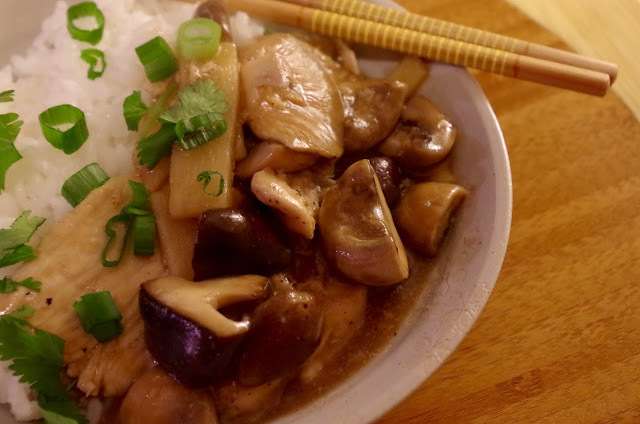 Since returning, I have not been able to replicate any of the dishes that I had while I was abroad. Until now. 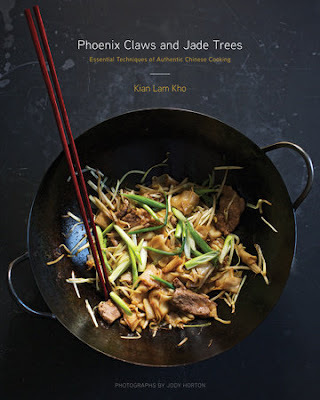 Until this new cookbook by Kian Lam Kho (Phoenix Claws and Jade Trees), and my last new one of the year (until the husband opens one of his Christmas presents and discovers a fancy new cookbook I bought for me, I mean him). This fabulous cookbook has helped me recall some of the complex and brilliant palette of China. Arranged by technique, Phoenix Claws and Jade Trees is as meticulous as it is beautiful. Guiding you through dry stir frying, flash frying, boiling, steaming, red cooking, wei braising, hang roasting, grilling, smoking, and fermenting (as well as numerous other techniques), Kho leaves no stir-fried vegetable unturned. I'll admit, there are some recipes I will probably be skipping--mostly in the offal section of the book--but overall, I am excited for Mapo Tofu, Red-Cooked Chicken with Chestnuts, Pan-Fried Salt and Pepper Whole Prawns, Steamed Beef with Cracked Rice, Yu Xian Stir-Fried Pork, and Shrimp with Asparagus Fried Rice. In short, I am excited to turn my own kitchen into a nostalgia trip. 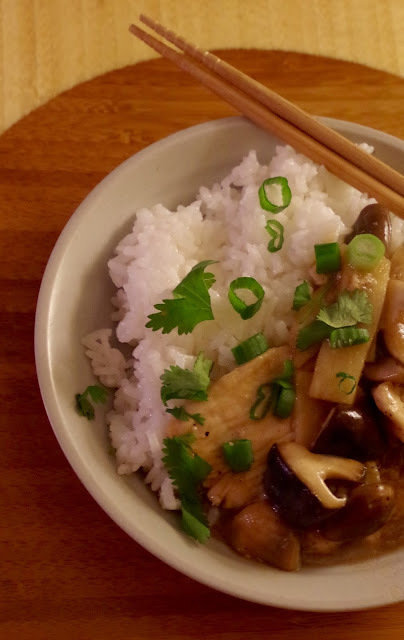 I decided to start with the Chinese-American restaurant staple of Moo Goo Gai Pan. 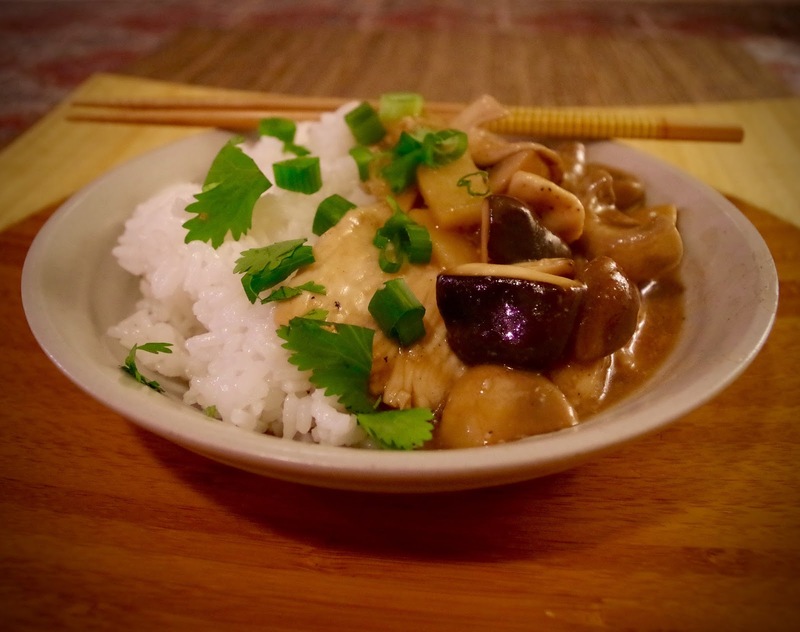 This recipe from Guangdong in Southeast China (not really where I travelled, but the region is filled with fabulous food nonetheless) is a wonderful introduction to "Moist Stir Fry." While in the US, the most ubiquitous of stir fry is the dry kind (think Kung Pao Chicken), moist stir fry shows up a lot in restaurants, indeed. However, Kho saves these often goopy recipes from bad restaurant quality and elevates them into truly beautiful dishes. 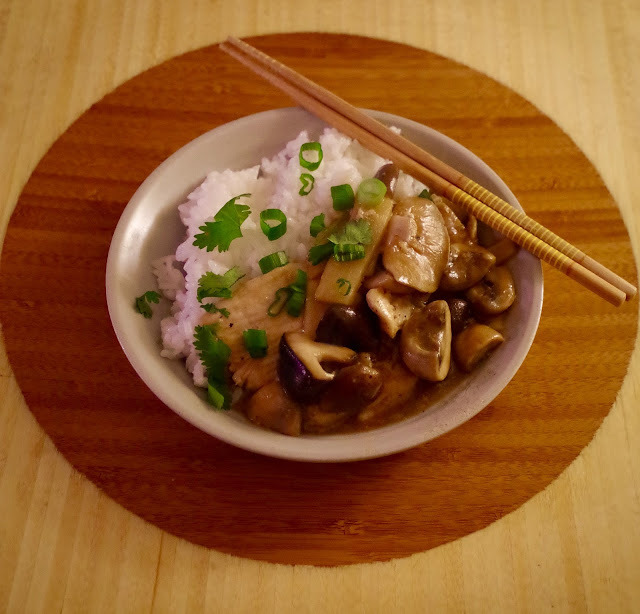 In fact, this Moo Goo Gai Pan is smooth, subtle, complex, and incredibly satisfying. While many Chinese-American restaurants serve this dish with a rainbow array of vegetables (think snow peas, water chestnuts, and bok choy), Kho whittles the recipe down to its most basic parts: mushrooms (mohgu) and sliced chicken (gai pin) in an oyster sauce. The result: spectacular comfort food. While there are no China trips on the docket (especially since two darling friends of mine have recently moved back from Shanghai without my having had the opportunity to properly visit them), this cookbook will do quite nicely as I try to replicate some of the tastes of that glorious trip seven years ago. More Chinese cooking for me! 1. Put the chicken slices in a bowl, add the egg white, 2 tsp of cornstarch, salt and pepper. Mix well. 2. 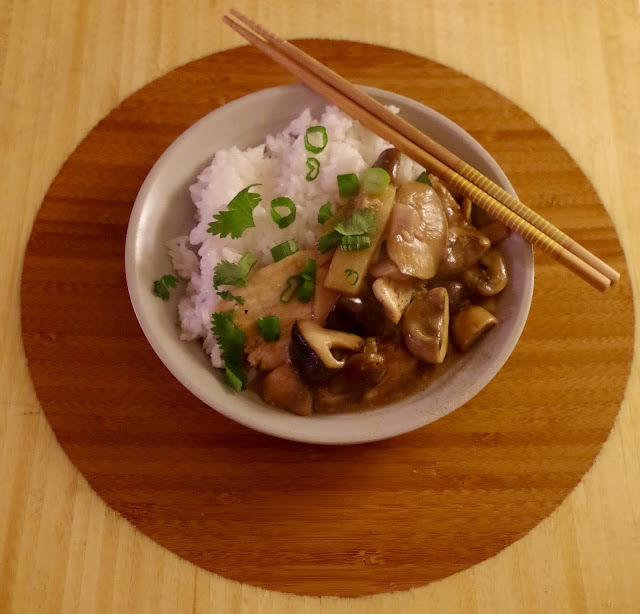 In another bowl, mix 1/2 cup of the chicken broth with the rice wine, oyster sauce, soy sauce and 1 Tbsp of cornstarch. Set aside. 3. Heat the vegetable or canola oil in a wok over high heat until it begins to shimmer. Drop the chicken slices into the hot oil and stir to keep them separate. Cook until 3/4 of the way done, or until the outside of the chicken turns white but the center is still slightly pink. Remove the chicken from the wok and place it atop paper towels to drain off the excess oil. Pour the oil out of the wok, reserving 1 Tbsp, and quickly rinse the bottom of the wok with water, scraping off any residue that is stuck there. 5. Uncover and return the chicken to the wok. 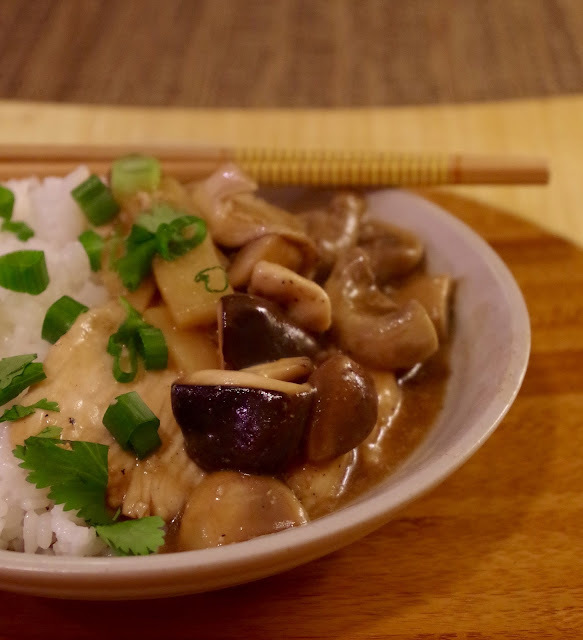 Add the bamboo shoots and stir-fry for 30 seconds. Add the oyster sauce mixture to the wok and stir-fry until the sauce thickens, about 1 minute. Turn the heat off, swirl in the sesame oil, and quickly mix together. 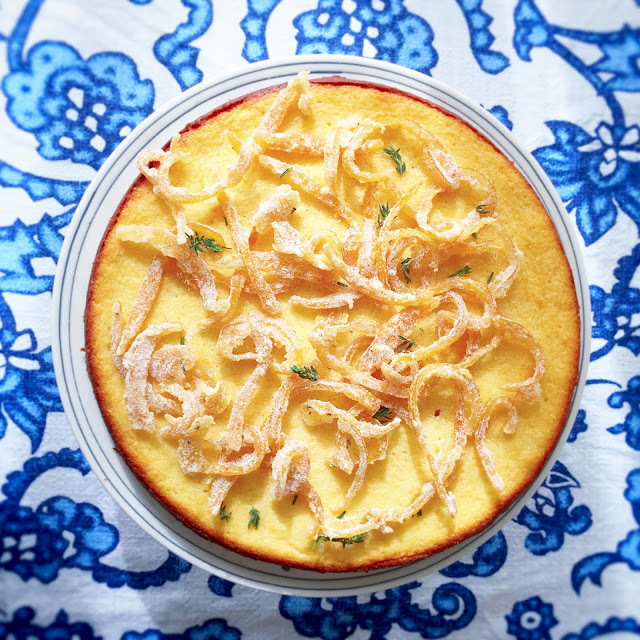 Serve garnished with scallions and cilantro.